Dot has recently produced a couple of new pieces. 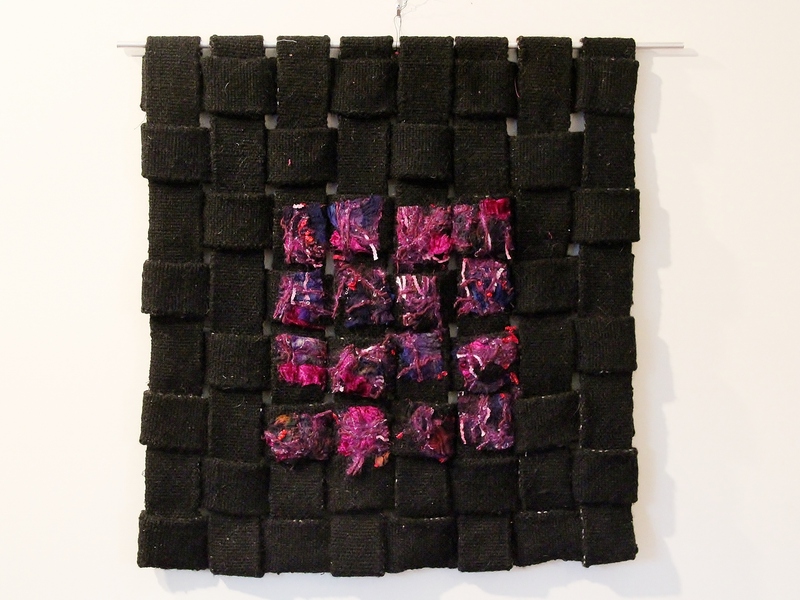 She created the first one by reassembling woven elements from wall hangings that she did years ago. The second piece is also a reworking of an older piece. 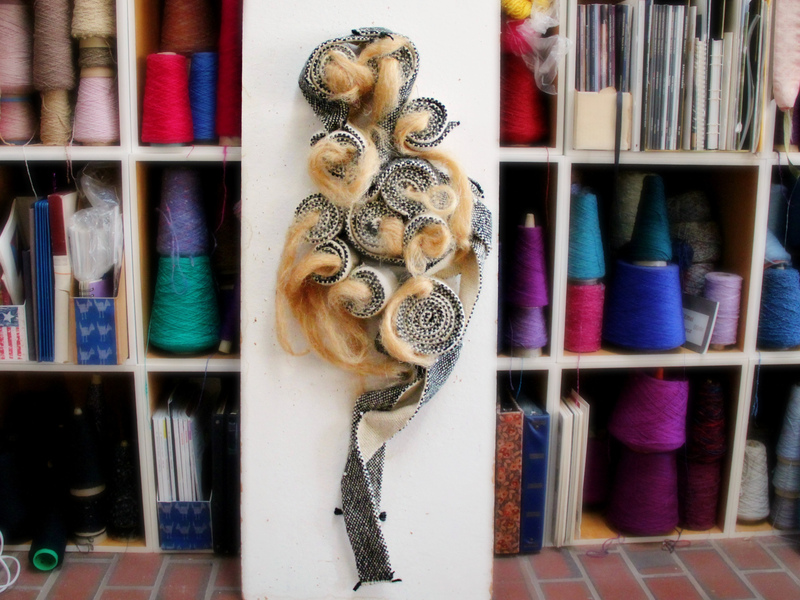 Dot Replinger, 2017, fiber, 12 x 36 in. Dot Replinger, 2017, fiber, 24 x 24 in.